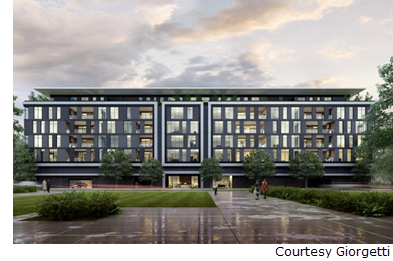 ​​ HOUSTON – Giorgetti, the luxury condominium project named after a high-end Italian furniture maker, broke ground in May 2018. The seven-story condominium off Kirby Dr. and Steel St. is more than 50 percent sold and will include 32 units ranging from 2,700 sf to 6,800 sf. Located off Kirby Dr. and Steel St., the Giorgetti is priced between $1.4 million and $3.4 million. The development is set to open by year-end 2019.